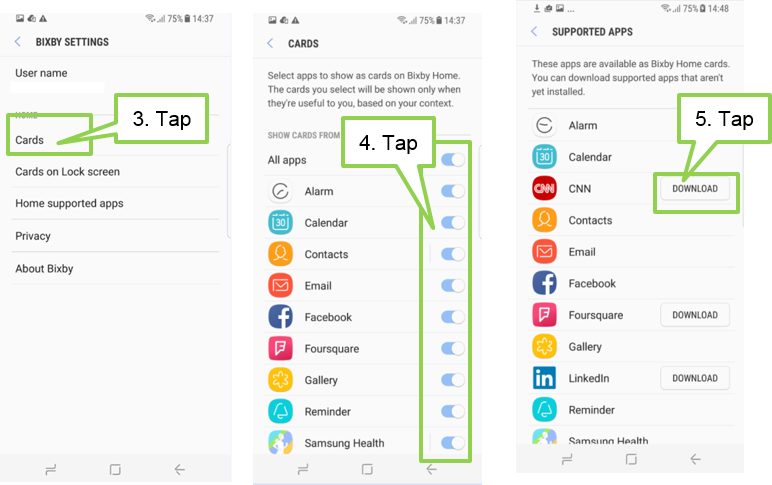 [Galaxy S8/S8+] How to manage the card shown through the Bixby home setting? 1. 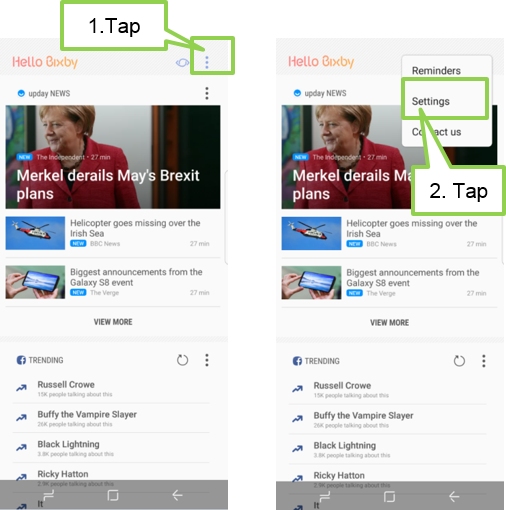 Tap More menu at the top of the Bixby Home. 4. Tap the switches next to items to add or delete them. 5. If an app is not installed on the device, you must install it to use it. and then download an app.